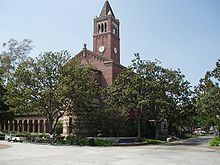 The University of Southern California (USC or SC) is a private, not-for-profit, and nonsectarian research university founded in 1880 with its main campus in the city area of Los Angeles, California. As California's oldest private research university, USC has historically educated a large number of the region's business leaders and professionals. 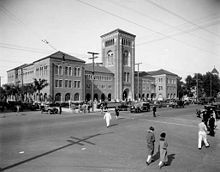 In recent decades, the university has also leveraged its location in Los Angeles to establish relationships with research and cultural institutions throughout Asia and the Pacific Rim. An engine for economic activity, USC contributes approximately $5 billion annually to the economy of the Los Angeles county area. For the 2014-15 academic year, there were 18,740 students enrolled in four-year undergraduate programs. USC also has 23,729 graduate and professional students in a number of different programs, including business, law, engineering, social work, and medicine. The university is one of the top fundraising institutions in the world, consistently ranking among the top 3 in external contributions and alumni giving rates. 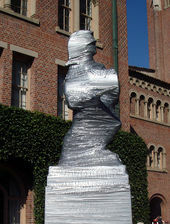 Multiple academic rankings list the University of Southern California as being among the top 25 universities in the United States. With an acceptance rate of 16 percent, USC is also among the most selective academic institutions in the nation. 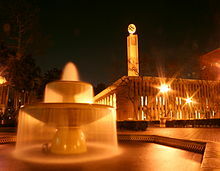 USC maintains a strong tradition of innovation and entrepreneurship, with alumni having founded companies such as Lucasfilm, Myspace, Salesforce.com, Intuit, Qualcomm, Box, Tinder, and Riot Games. As of 2014, the university has produced the fourth largest number of billionaire alumni out of all undergraduate institutions in the world. 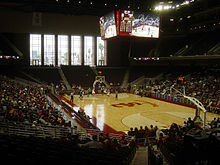 USC sponsors a variety of intercollegiate sports and competes in the National Collegiate Athletic Association (NCAA) as a member of the Pac-12 Conference. Members of the sports teams, the Trojans, have won 102 NCAA team championships, ranking them third in the nation, and 378 NCAA individual championships, ranking them second in the nation. Trojan athletes have won 288 medals at the Olympic games (135 golds, 88 silvers and 65 bronzes), more than any other university in the United States. If USC were a country, its athletes would have collectively received the 12th-most Olympic gold medals in history. In 1969, it joined the Association of American Universities. 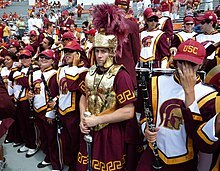 What are the academic rankings for University of Southern California? 1. number 22 for Academics. 2. number 81 for ROI (Return on Investment). 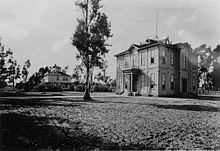 What universities are similar to University of Southern California?